Receiving that special thank you can make your day. That special "thank you" note in the mail or that phone call saying "thanks" puts a smile on our faces and brightens our day! Saying thank you by snail mail, email or phone call has always been the culture at On Target Promotions and it has brought us many rewards. We thought we would share a few insights we have learned over the years. Kate Zabriskie is the president of Business Training Works, Inc., a Maryland-based talent development firm says that thanking people in advance works for a several reasons. The first has to do with a sense of obligation many people feel to reciprocate after they've received something. The second explanation for the technique's effectiveness is because people want to conform to a positive image of themselves. In other words, "I'm going to act like a good worker because I am a good worker." 1. Think about the desired result. "I want my employees to show up on time." 2. Identify the type of people who typically demonstrate that behavior. "Responsible and accountable people show up on time." 3. Craft a statement that identifies the people you are addressing as that group, and be specific about the result you want to see. For example: "I appreciate the fact that I have such a dedicated team. I want to thank you in advance for giving 110 percent this week. The hours during this busy season are demanding, and it takes a true group of professionals to act upbeat and engaged with every visitor. This is why we hired you." On Target has used the Thank-you note for years. Yes, it's old fashioned but it works. 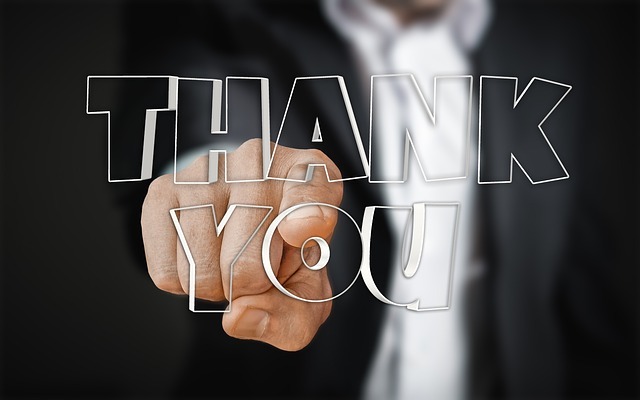 Case in point - Deb sent a thank you note to a prospective client thanking him for the time he spent chatting with her at a chamber mixer event. Upon receipt the busy entrepreneur sent Deb a thank you email and has since become a loyal client. 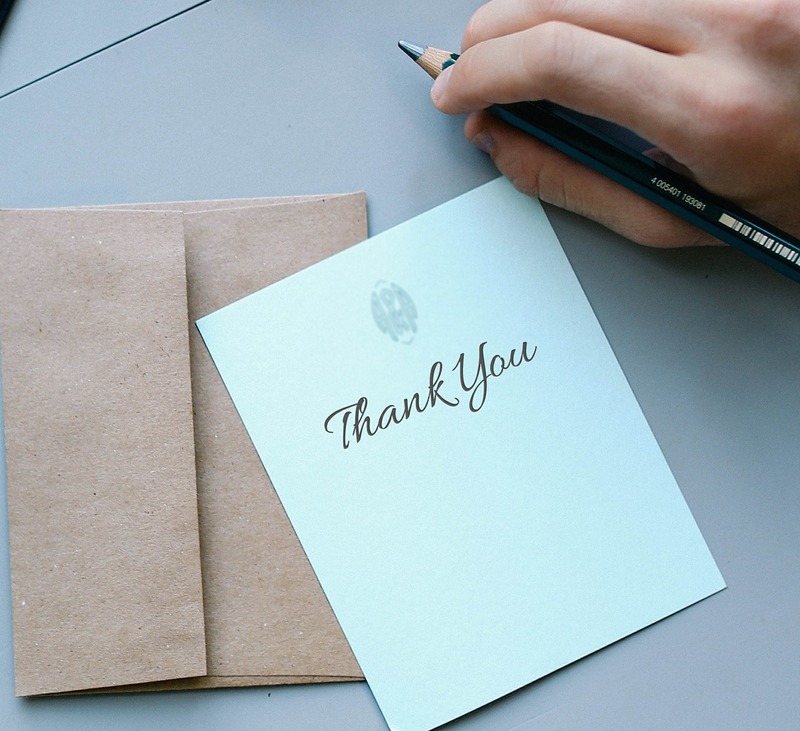 A thank you gift serves as a constant and tangible reminder of your company. 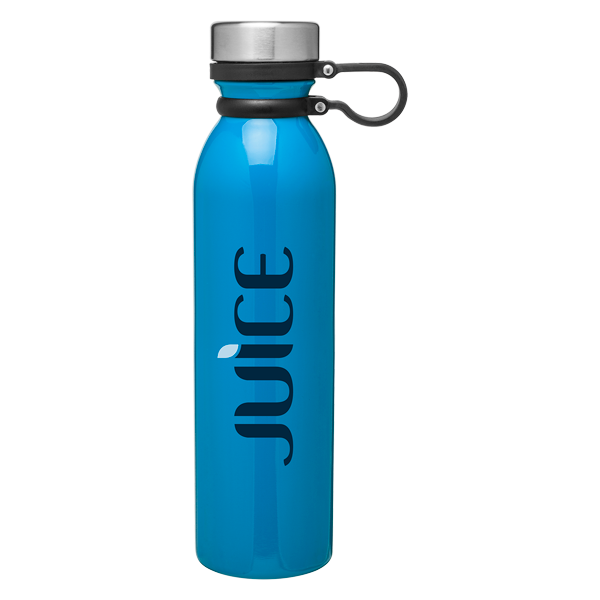 Case idea: A food and beverage company wanted to thank their largest accounts. They put on an show for the top 100 clients where the clients came in to taste the variety of foods and beverages this company offered. Upon leaving each guest was given a stainless drink container as a reminder of the day. The drink container had bounce back offers for the restaurants to use to purchase some of the products that were featured at the show that day. "reminder advertising and "bounce back" offers can build a continued flow of purchases. Need creative ideas to say thank -you using print, promotional and digital marketing to develop and maintain great relationships with prospects and current clients? We’ve got them! On Target Promotions, is a national promotional products and printing company with a creative edge. We add impact and value to your programs. An agency without associated agency fees, we provide innovative and cutting-edge products and service solutions through our Inland Empire offices. We help clients use marketing materials and promotional products and other media to design and secure quality marketing programs that meet their goals and exceed their expectations. Since we believe nothing is a greater reflection of success than a repeat customer, everything we do is designed with our clients in mind. Your focus is our goal. Call (951) 682-8427 or email us today to start your project.